Heard a lot about Jin Kisaragi? Jin Kisaragi is one of the characters in the Blazblue Series. 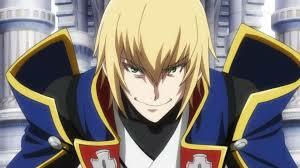 He is a rival to Ragna and a former NOL's major as well as elite commanding officer. He is a cool and calm person. He is also ambitious, jealous, and possessive with selflessness treating other people like an obstacle to his achievements. He exhibited a formidable action in the Ikaruga Civil War in order to gain his rank. He abandoned his post and hunted Ragna The Bloodedge when he heard that he was present at the scene. Interestingly, Jin and Ragna are biological brothers. Moreover, Jin's rivalry feelings were fostered by his revelation of the future and magnification of his emotions. Jin's mind was corrupted by Terumi who incited him to cut off Ragna's right arm and allegedly killing Saya. In fact, Jin always says that he is looking forward to the day he will kill Ragna. After that event, Jin was adopted into the house of Kisaragi, which is a powerful and highly respected family in the NOL. Jin has a notable obsession, which is believed to have been caused by his sword. The sword gives him power to manipulate over ice as well as enhances primitive feelings. It is actually blamed to cause insanity. In the continuum shift, Jin reveals to Ragna that he was given Yukianesa by Saya. Currently, he and Jubei are traveling together. Before the happenings of Chrono Phantasma, in his training with Jubei, it is revealed to him that Hakumen and Jin played the same role but from a different timeline because of the turnaround time that transpired during the Calamity Trigger. In Chrono Phantasma, Jin becomes friend with Kagura, Ragna, and Noel after his encounter with Relius. As a result, he saves Tsubaki from the control of the Imperator. 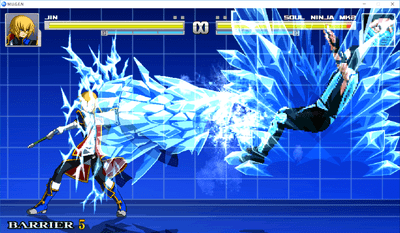 After his battle with Izanami, he as well as Noel is injured after Ragna loses control of his armory.